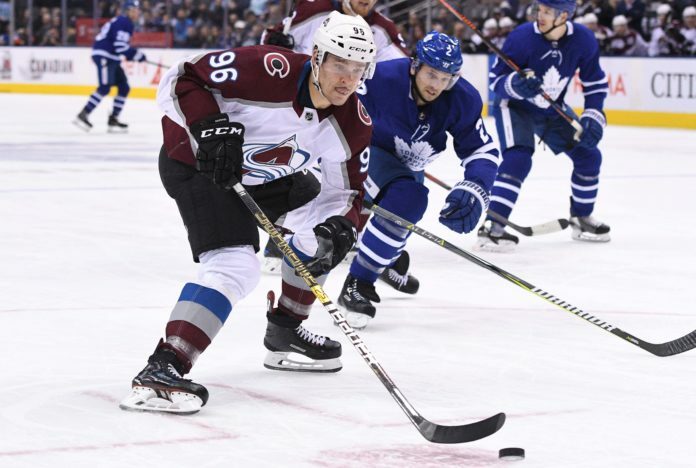 In desperate need of a victory, the Colorado Avalanche went into Toronto and controlled the majority of the play in a massive 6-3 victory over the Maple Leafs. After 9 losses in its last 10 games, this win will hopefully be the one to springboard Colorado back to its winning ways. 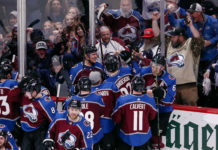 Nikita Zadorov is an impact player. He is not a perfect player by any means, as shown by his two penalties (although he first one was iffy), but he bring some swagger to the team that they need. In his first game back, the team controlled 62 percent of the shot attempts with him on the ice, while he registered seven hits and four shots on goal in 20 minutes. He brings a different dimension to the blue line that the Avs miss when he is gone. Fans have been begging for Carl Soderberg to get some improved line mates for months, and he received that tonight. With J.T. 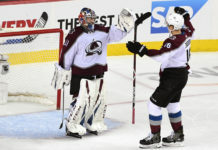 Compher and Colin Wilson flanking him, Soderberg registered his first career hat trick. His shorthanded goal in the second period was created out of pure will, and it changed the course of the game. He is only one goal away from tying his career high, and hopefully this leads to the Avs using him in a bit of a more offensive role. 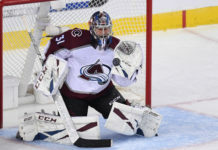 Semyon Varlamov was not perfect either, but he made some huge saves on an early power play for Toronto to keep the Avs in it. He stopped Marner on a breakaway and Nylander on a back door chance, looking like vintage Varly. The Avs are hoping he can build on this for the rest of the year. Jared Bednar is one of the better coaches in the league in terms of winning his challenges. His second period challenge of an offsides goal for Toronto proved to be huge. Although the Leafs scored again soon after, it did stop a little bit of the bleeding and allowed the game to stop from getting too far away from the team. Erik Johnson has found another gear in the last two weeks. I’m not sure why he wasn’t skating as much as to start the year, but he’s kicked it up a notch of late. His rush up the ice helped lead to the game winning goal by Soderberg. The Colorado Avalanche now head to Ottawa to finish off their road trip. The game starts at 5 PM MST on Wednesday.